Wits Language School was established in 1997 and is part of the Faculty of Humanities at the University of the Witwatersrand in Johannesburg. The school offers a wide range of language courses and services, including, English as a Foreign Language. 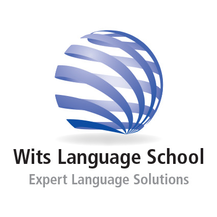 Wits Language School is one of the top language schools in South Africa. We have successfully taught thousands of students from all over the world to speak, read and write English. The English as a Foreign Language courses run full-time over seven weeks and include up to 170 contact hours. Our courses are taught by qualified mother-tongue teachers and are designed for you to get the most out of your stay in South Africa. Our teaching style is interactive, making learning easier, faster and fun. By practising day-to-day conversation you will build your vocabulary and understanding of English. Our professional and friendly environment will also enhance your learning experience, enabling you to work towards your language goals. Our test preparation courses are taught with integrity, teaching you test-taking skills, specific techniques for your test and the actual skills and abilities that are tested, thereby helping you succeed in your university or professional experience. The English for Academic Development and Testing (EADT) unit provides a wide range of courses and services to help you prepare for tertiary studies or the tests that you need for university admission. We offer courses for undergraduate or postgraduate studies, as well as for tests such as IELTS and TOEFL. Whether you are new to language teaching or are a professional teacher we have a range of courses that will help you develop your language teaching skills. There are currently five courses offered by the Language Teacher Education unit at the Wits Language School, in Johannesburg. These courses are aimed at pre-service and in-service teachers of English and other languages who are interested in developing knowledge and skill in language teaching. Part-time and full-time courses are available.